Rosa 'Loving Memory' is a hybrid tea rose also known as: Rosa 'Korgund 81', Rosa 'Korgund', Rosa 'Burgund 81', Rosa 'Red Cedar', and 'The Macarthur Rose'. 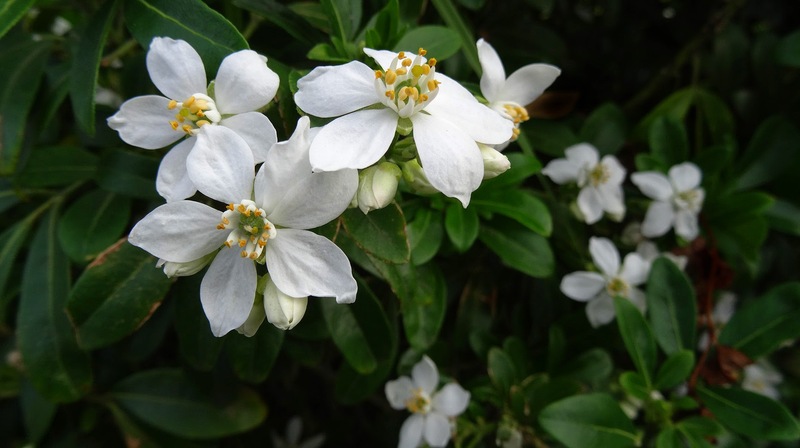 It is an upright, thorny, deciduous shrub bearing pinnate leaves with ovate, toothed, glossy, dark green leaflets and lightly fragrant, double, high-centered, dark red flowers from late spring into autumn. 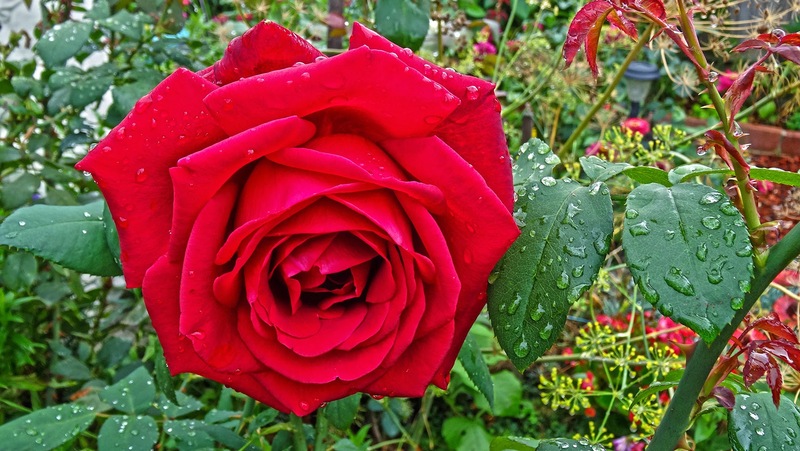 The slightly scented flowers have long straight stems, which make this rose ideal for cutting and exhibiting. It is hardy and has good disease resistance. Grows to 90-120cm in height. This specimen is from our garden where the bush has been growing happily for several years now. 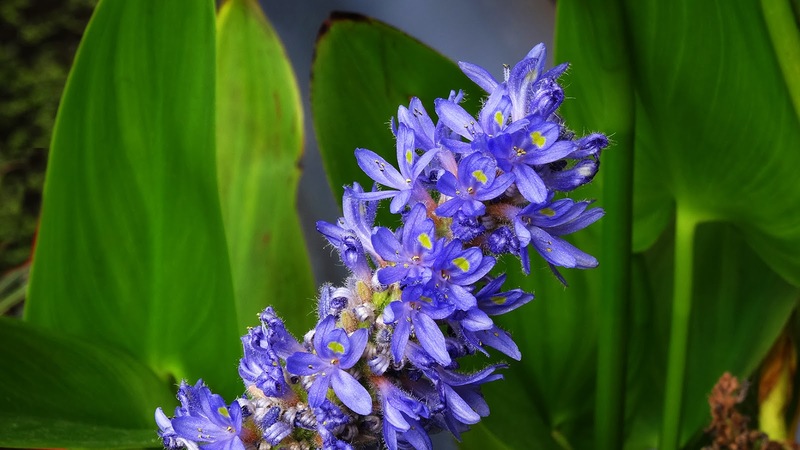 Pontederia cordata, common name pickerelweed (USA) or pickerel weed (UK), is a monocotyledonous aquatic plant native to the American continent. It grows in a variety of wetlands, including pond and lake margins across an extremely large range from eastern Canada south to Argentina. A few examples include northern rivers, the Everglades and Louisiana. The species grows as an emergent plant, that is, in flooded conditions, so the plant is generally dependent upon aerenchyma in the stem to carry oxygen into the roots. Its metabolism, is, however, also tolerant of low soil oxygen. It is often found in areas where water levels fluctuate naturally, with spring flooding and later summer emergence. Apart from flooding, the species is also influenced by soil fertility, tending to grow in the more fertile bays of large lakes, for example. Like many aquatic plants, it is negatively affected by salinity and grazing. It is also negatively affected by competition from other wetland plants. Like many wetland plants, it can survive unfavourable conditions as buried seeds in the soil. The plant flowers in late summer. The purple flowers have yellow markings which may assist in attracting bees for pollination. One bee species known to pollinate the flowers is Dufourea (Halictoides) novaeangliae. Once the plant begins to produce seeds, the stem supporting the inflorescence bends to submerse the fruits and seeds. Seeds are dormant at the time of dispersal and will not germinate without stratification for 6-8 weeks. Dahlia is a genus of bushy, tuberous, herbaceous perennial plants native mainly in Mexico, but also Central America, and Colombia. A member of the Asteraceae or Compositae, dicotyledonous plants, related species include the sunflower, daisy, chrysanthemum and zinnia. There are at least 36 species of dahlia, with hybrids commonly grown as garden plants. Flower forms are variable, with one head per stem; these can be as small as 5.1 cm diameter or up to 30 cm ("dinner plate"). This great variety results from dahlias being octoploids (that is, they have eight sets of homologous chromosomes), whereas most plants have only two. In addition, dahlias also contain many transposons (genetic pieces that move from place to place upon an allele), which contributes to their manifesting such great diversity. The stems are leafy, ranging in height from as low as 30 cm to more than 1.8–2.4 m. The majority of species do not produce scented flowers or cultivars. Like most plants that do not attract pollinating insects through scent, they are brightly coloured, displaying most hues, with the exception of blue.The dahlia was declared the national flower of Mexico in 1963. The tubers were grown as a food crop by the Aztecs, but this use largely died out after the Spanish Conquest. Attempts to introduce the tubers as a food crop in Europe were unsuccessful. The variety shown here, 'York & Lancaster' is an unusual and very beautiful dahlia whose origins in history have been lost centuries ago. As well as being of striking appearance, it is a cultivar that most dahlia experts have never heard of, while for others it's a genetic conundrum that shouldn't really exist. For a dahlia it is surprisingly tough, almost hardy in light soils. Standing approximately 2'6'' tall it produces large numbers of ball shaped flower heads. 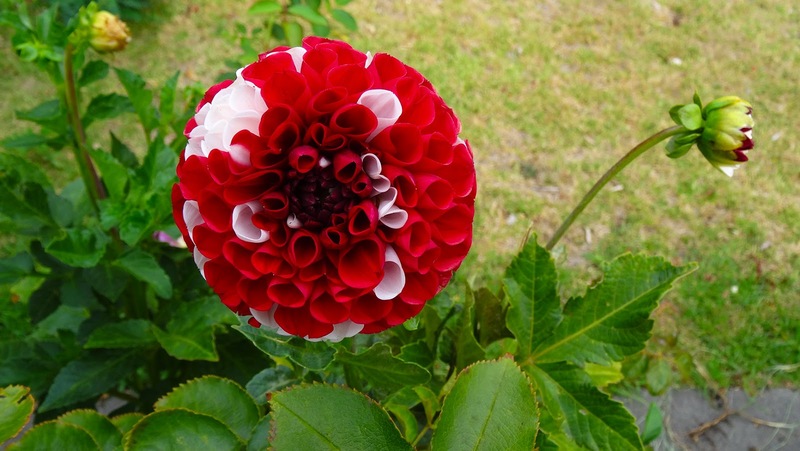 If it does throw up an occasional pure white flower it will always be followed by a brilliant white and carmine red bi-colour flower.